Last year, Mimi Gallagher formed Year of Glad after the breakup of her band NONA. It’s a collaborative project with Mike Bell (Mike Bell & the Movies), Chris Diehm (Thin Lips, 1994! ), and Biff Swenson (Yawn Mower), and like most of the members’ other projects, it’s riding that fine line between indie rock and pop punk. Kerplunk meets No Pocky for Kitty, Dude Ranch meets Last Splash, you get the idea. Mimi has a sugary voice and a real pop sensibility, while Chris’ vocals bring a rawer, raspier side to the band. 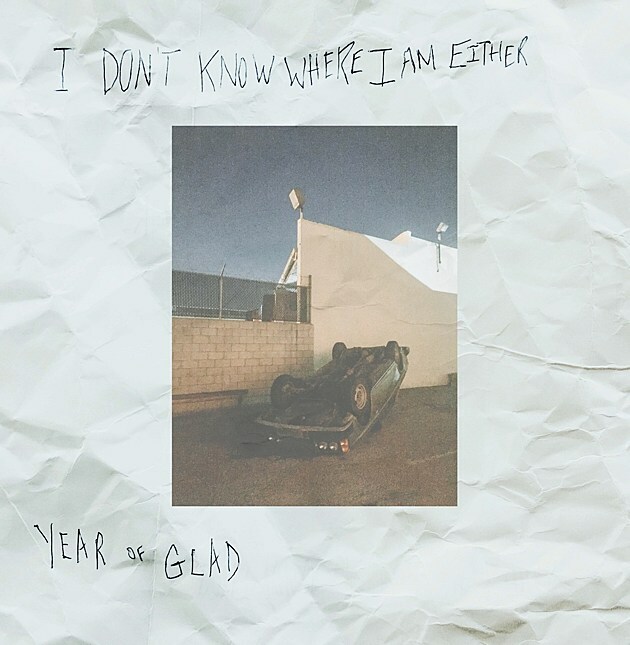 This all comes across in a great way on their new EP, I Don’t Know Where I Am Either, which comes out this Friday (7/15) via Lame-O Records. If you want to hear it before then, you’re in luck. A full stream premieres below. You can pre-order it now, and all proceeds from the pre-orders (anything placed before Friday) are going to The Center in Orlando to benefit the victims of The Pulse shooting.